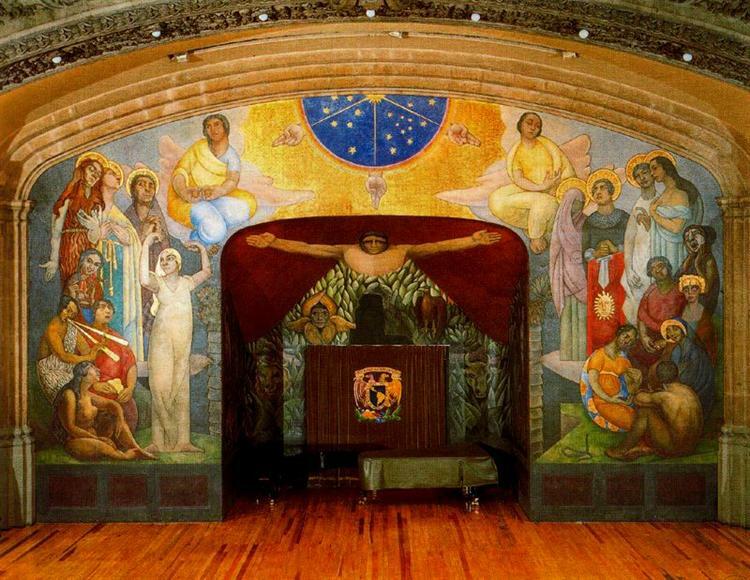 His first government-commissioned mural, Creation was created over the course of a year and covers over a thousand square feet. 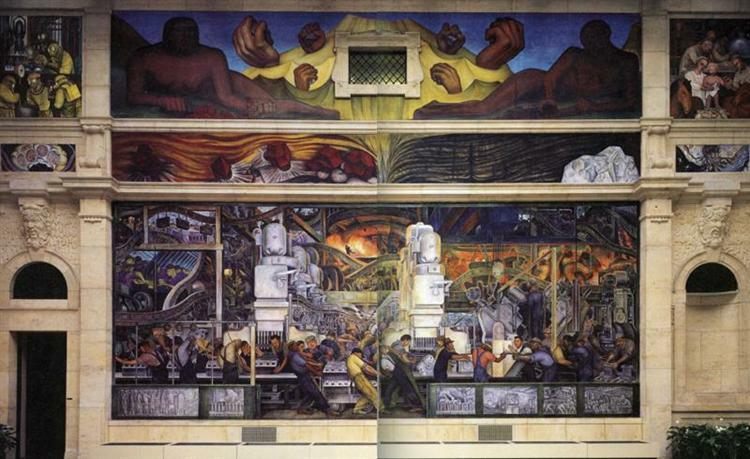 The figures in the mural are over twelve feet high, which were in proportion to the huge pipe organ which surrounded the wall. 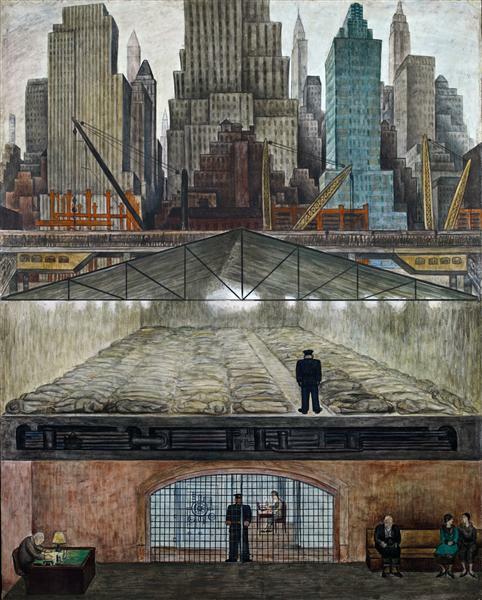 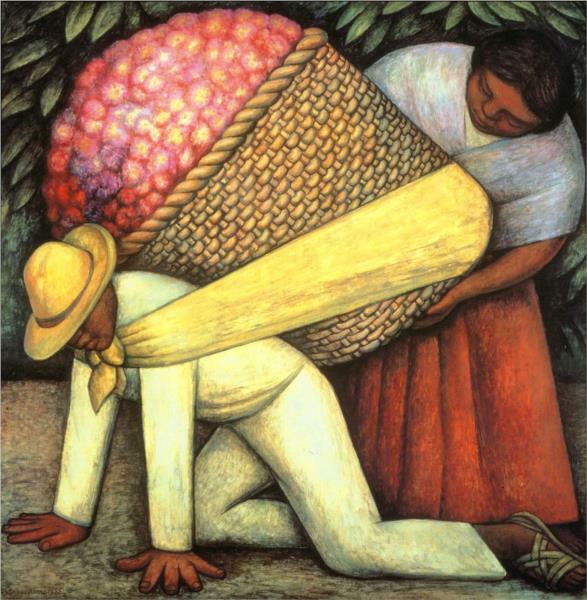 Although it was widely popular, Rivera felt that the painting was too Italian in technique, and he did not like it. 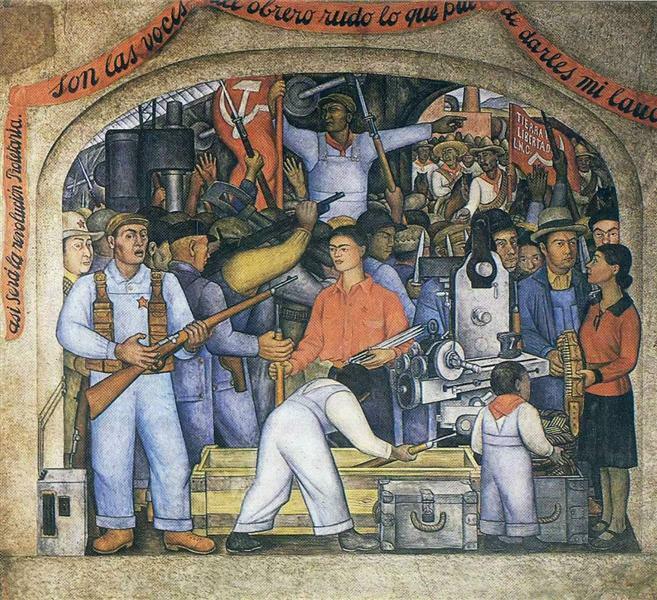 During the painting of the mural, Rivera felt compelled to carry a pistol with him at all times, to protect himself from the right-wing students.